There is no substitute for your original windows. Beyond the beauty of their unique proportions, there is the pleasure of viewing the world through wavy, antique glass. Old growth wood and traditional joinery outperform today's quickly harvested wood, whether handcrafted or mechanically stapled together. Your original old windows will even outlast vinyl replacements, which are made from non-renewable resources, are environmentally unkind, and age poorly. Prices are based on the number of lights (panes) and sashes (the framework in which the panes or lights are set). A double hung window has two sashes: one that slides down and an inside one that goes up. For prices and additional information, contact Old House Authority (804.648.1616) or info@oldhouseauthority.com). Old House Authority has a large inventory of antique glass and sash, which can be purchased for your restoration project. Many sizes and types available. Our experts can fully restore your windows for you. We can return the windows to their original condition while making them energy efficient. 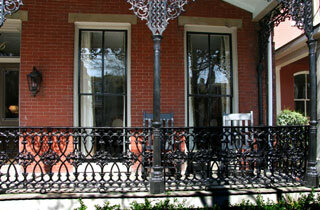 Click here for more on our Window Restoration Services. Old House Authority is located in VA, but ships to other localities. Send your inquires to info@oldhouseauthority.com or (804) 648-1616.